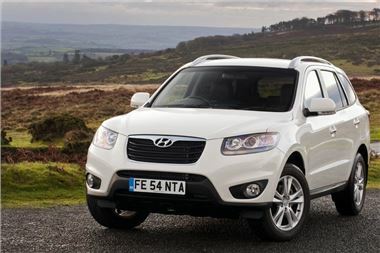 www.ukcarbroker.co.uk offers a rare Hyundai Santa Fe, due in early June, normally on 14/16 weeks delivery. Hyundai Santa Fe 2.2 CRDI Premium Auto (7 Seater) in White £23,400 Taxed and delivered. The car will be pre-registered (one previous owner) and the buyer must take out some level of finance to qualify for this price. Either PCP or Hire purchase therefore please call for your bespoke finance quotation.